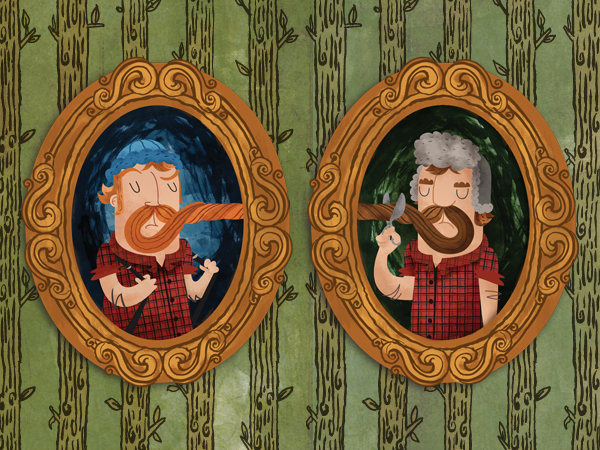 I was asked to contribute to an AMMO Magazine special edition entitled ‘The Lumberjacks Illustrated Guide to Wood Cutting’. So I came up with a piece called ‘The Family Lamberjacqué’. 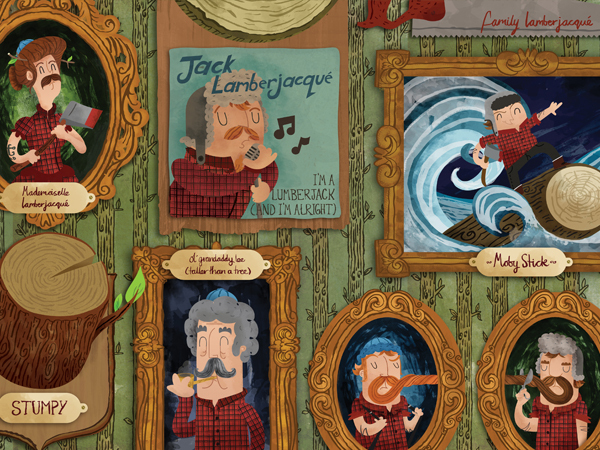 It shows the Lamberjacqué family’s living room wall and features key moments in their family history including the capture of the great log ‘Moby Stick’ and Jack Lamberjacqué’s Number 1 selling single ‘I’m a Lumberjack (And I’m alright). Jimmy Rogers is a Birmingham based creative with a passion for illustration, Lego and Tunnocks Caramels. He has 10 years (and counting) experience in the creative industry and is a… Show more. Send a message directly to Jim Rogers. Jimmy Rogers is a Birmingham based creative with a passion for illustration, Lego and Tunnocks Caramels. He has 10 years (and counting) experience in the creative industry and is accomplished in a variety of disciplines from illustration and design to web and moving image. If you like what you see – give him a bell!